NOISE MIX : Controls the amount of vinyl noise added to the mix. NOISE TONE : Adjusts the noise shape. DUST RATE : Controls the amount of dust on the emulated vinyl disk. DUST MIX : Controls the level of the dust effect added to the mix. SCRATCHES RATE : Controls the amount of scratches on the emulated vinyl disk. 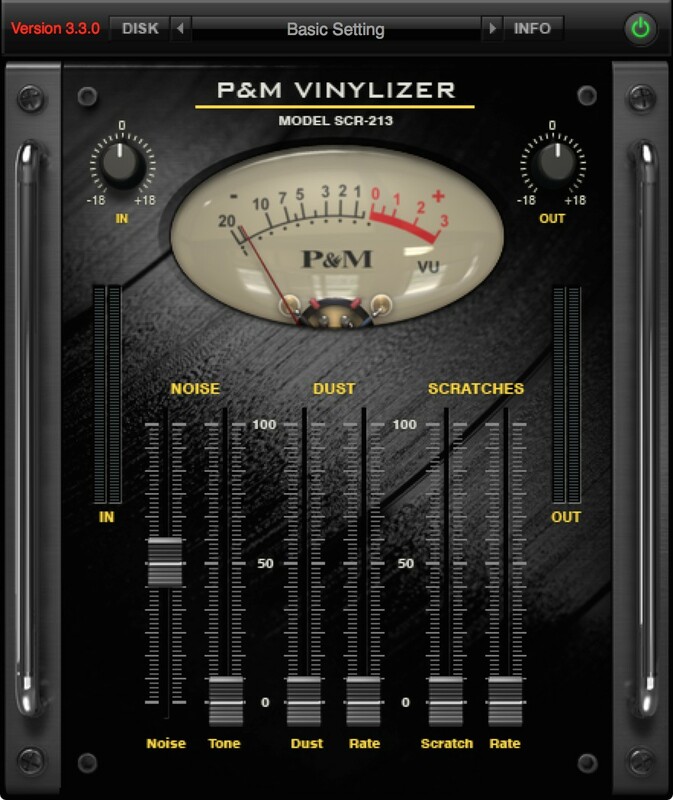 SCRATCHES MIX : Controls the level of the scratches effect added to the mix.